How can I feel God's presence in all that I do? How can I know God personally and intimately? Seeking God's Heart will help you begin to answer these questions in your life. For more than 2,500 years, the Psalms have been a major source of inspiration and meditation for worshipers of God, the Almighty. The Psalms reflect man's ancient quest to know the characteristics of God, to understand the ways of God and to seek the heart of God. The Psalms inspire us, transform us and help us come face-to-face with God. Through the Psalms, we get to feel His presence, to sense His pleasure and to offer Him our praises and prayers. The Psalms help us come to know God in a personal and intimate way. 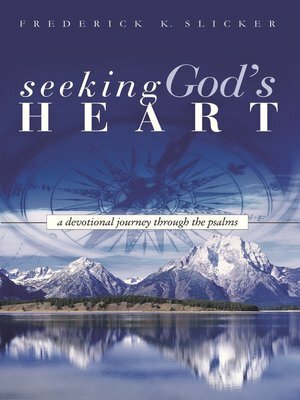 Seeking God's Heart is a daily devotional using the Psalms as the Biblical foundation for reflection, meditation and prayer. Daily devotionals are an important act of discipline in experiencing the presence of God. Seeking God's Heart is intended to be a guide for your personal journey toward a deeper and more intimate relationship with God.